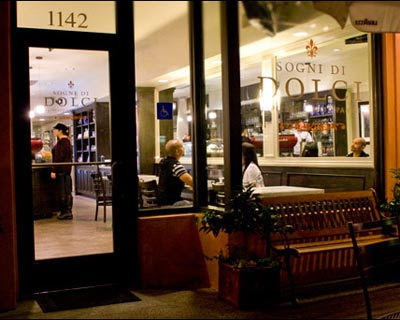 The logo/brand identity Design Hovie Studios created for Sogni di Dolci can now be seen in full use. Interior design firm R&R Design Studio took the brand and created an amazing interior space for the cafe that enhances the brand perfectly. Photo by Kent Taylor.